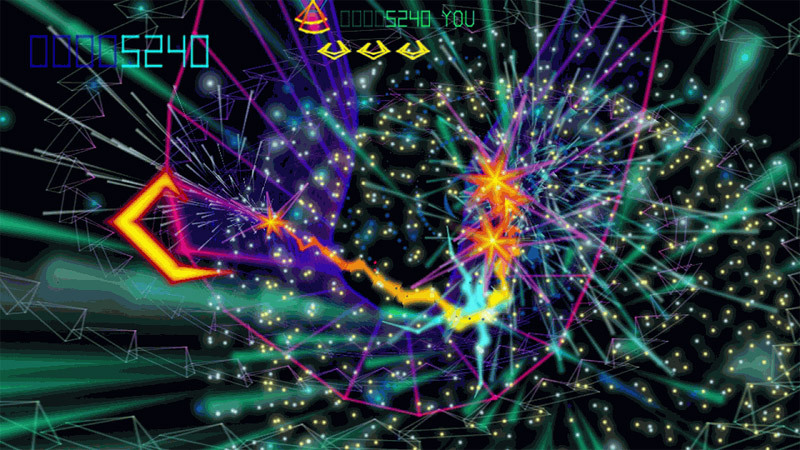 Glowing vectors, explosive particle effects and a pulse-pounding soundtrack are core elements of many modern arcade shooters - a style that Llamasoft defined with its seminal 90s tube shooter.TxK is the spiritual successor to that genre-defining work and brings you 100 levels of engrossing score-chasing gameplay married to an outstanding soundtrack that will have your head nodding as you blast your way onto the scoreboards. TxK is tunnel shooter refinement. It's dazzling on the Vita's screen. bright and electric. The music is infectious and lends itself to a focused tunnel vision. And it's occasionally disorienting in the best way. Getting that turned around becomes hypnotic and rhythmic, with TxK acting as the snake charmer. At first glance (though “extended unblinking stare” might be more appropriate), TxK seems unreasonable with everything happening on screen. 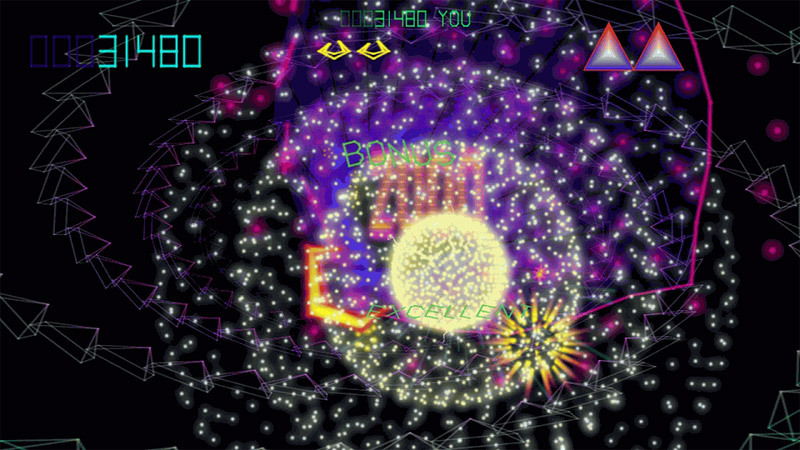 The enemies aren’t overwhelming and the levels are fair, but TxK moves at the pace of a strobe light on high settings. 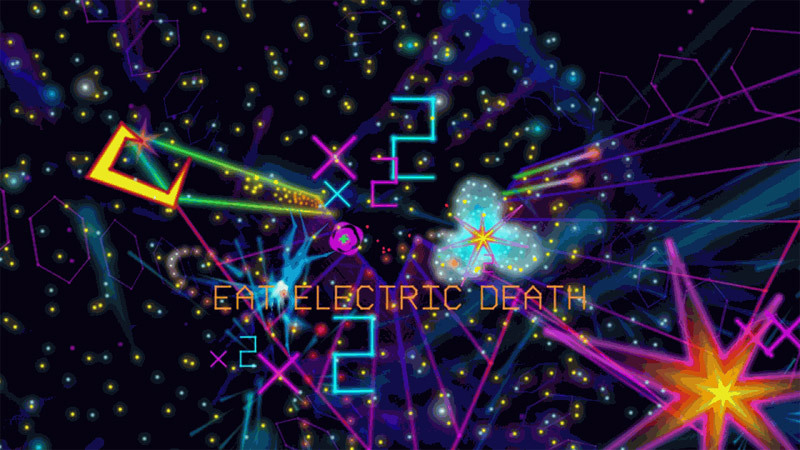 TxK is a phenomenal shooter with eye-popping graphics and a soundtrack that'll have you reaching for your glowsticks. 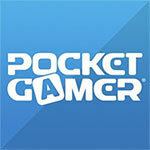 A perfect example of how to remake a classic arcade game - and a PS Vita essential. There might be some sensory overload at the start, but once you settle in, everything comes naturally. It is the ideal old-school arcade shmup that should appeal to nostalgic and contemporary gamers alike. Yet while its frantic gameplay is compelling, and the scoring simple, TxK's initially a confusing beast. It introduces its modes and nuances with a bewildering lack of clarity, frustrating players at the very point it is debuting some terrific ideas. Ultimately, though, TxK is tremendously enjoyable, and adds another weapon to the Vita's arsenal at a time when the handheld is enjoying a wave of great releases. 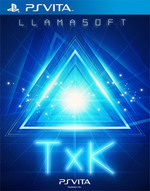 Though it plays it safe in terms of mechanics, TxK is challenging and thrilling throughout. 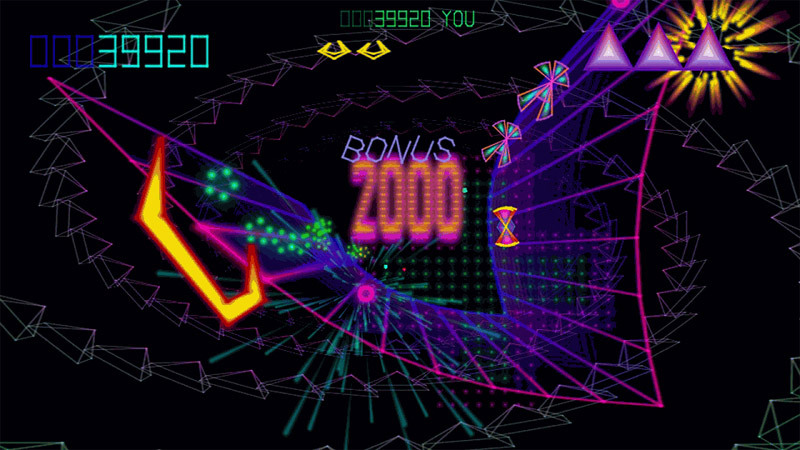 It's a treat for anyone who enjoyed any previous version of Tempest, and it's especially worthwhile if you missed out on Tempest 2000. If nothing else, TxK's existence means that there is no longer any reason whatsoever to own an Atari Jaguar. For that, I'm grateful. Everything walks such a fine line between being deceivingly elementary, and overly sophisticated that it’s impossible to look away, never mind ignore. It is literal culmination of a life’s work, and it’s evident at every turn. Though perhaps a bit short in terms of scope, as a pure arcade experience in the 21st century, it doesn’t get much better than TxK. It may be a cliché, but you should never judge a book by its cover. TxK may look like an ordinary, low-budget arcade shooter at a glance, but if you fly a little deeper into this intergalactic romp, you’ll find an addictive experience with some satisfying gameplay mechanics, mind-melting graphics, and electrifying audio. This title expertly fuses classic arcade staples with modern game design to provide a sleek gaming rush right in the palms of your hands. Despite the occasional frustration of visual pollution, all the aspects of TxK come together to make it a wonderful merger of what made an arcade classic fun and what makes modern twitch-based games enthralling. It's topped off with local and online leaderboards to encourage you to play long after you've finished all 100 levels, and the Classic Mode's clever use of saving your best performance gives that high-score chase a unique twist. Dynamic, thrilling and wholly invigorating, TxK isn’t just one of the best games on Vita: it might just be the best Minter’s ever made, too. ...TxK arrests every second of your attention the way few games ever can. The game is a success, then, but one that few will enjoy to its fullest. Like the best psychedelic albums, or the rarest scotch whiskies, TxK is a luxury item that requires a refined palate. Those that power their way to the top of the online leaderboards might debate whether this or Space Giraffe is the better game - whether slightly frayed psychedelia and a cider glass full of ideas wins out over studied simplicity - but that's an argument for another day. All you need to know right now is that TxK is Minter at his finest, and it's absolutely mint. The soundtrack is the star of the show, and consists almost entirely of the sort of pumping electronic beats popular on the club scene back in 90s. It resembles trance, with a touch of breakbeat, and has absolutely zero trace of dubstep (making it surprisingly refreshing as a result). The music meshes with the graphics and quickly hurls you into that highly focused zone where everything that happens off screen is just a blur. TxK recoge los frutos de 20 años de trabajo en el género para dar lugar a un shmup absorbente que induce un estado de éxtasis sonoro y visual. Por momentos logra que percibamos la consola como una extensión de nuestro cuerpo y no como un ente separado. No sé si Minter ha logrado alcanzar por fin su visión, pero estoy seguro de que lo que ha tenido en mente todo este tiempo no se queda muy lejos. Para los que no estén familiarizado con los juegos de Minter, ni tengan experiencia en esta clase de Shoot’em Up, el juego está a un precio lo suficientemente atractivo como para probarlo. Es accesible, tiene una calidad superlativa y a poco que te gusten las experiencias arcade, descubrirás un juego capaz de mantenerse en tu rotación de juego durante mucho, mucho tiempo. Tremendamente recomendable. 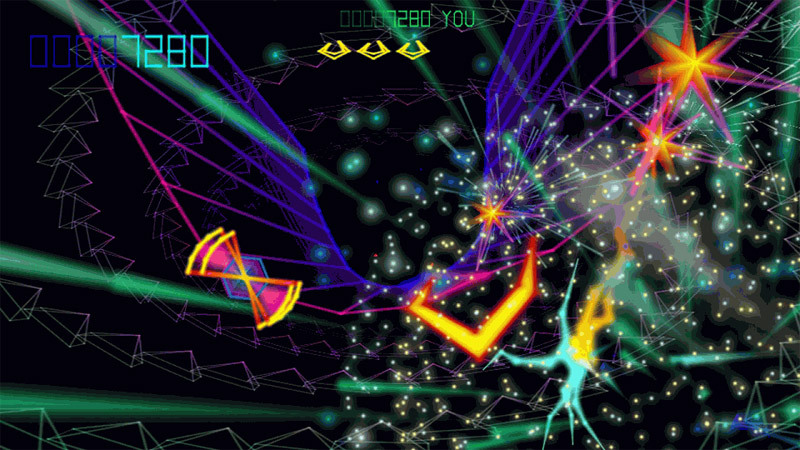 Llamasoft da continuidad (aunque no sea de forma oficial por cuestiones de licencias) a su obra maestra Tempest 2000, título que marcó una era en la consola Atari Jaguar hace ya un par de décadas. Por lo tanto estamos ante una propuesta shooter original, cautivadora y tremendamente adictiva, que nos ofrece sencillez y vistosidad a manos llenas. Un clásico para PS Vita que puede ser adquirido únicamente mediante PSN, servicio que ya posee varios clásicos dentro de su catálogo. Zu Beginn ist es ganz schön knifflig, den unerbittlichen Ansturm aus dem Weltraumtunnel zu überleben. Doch je besser ich mich auf die Eigenheiten der schräg designten Gegner und Extras einstellte, desto besser kam ich den Flow. Wenn man die Ruhe bewahrt und sich intuitiv taktisch klug durch Chaos mogelt, fühlt sich das einfach klasse an. Dans un monde idéal, il ne serait pas nécessaire de mettre une note à un jeu tel que TxK. Bien sûr, une grande majorité de joueurs ne verra là qu'un trip old-school un peu excentrique, mais ceux qui plongeront dans son gameplay ne sont pas près d'en ressortir indemnes. Ça peut paraître fou, mais on peut bien encore prendre son pied sur un shoot'em up vectoriel en 2014 ! TxK é uma lição para o futuro e ao mesmo tempo um fenomenal regresso ao passado. É um jogo de uma outra era para uma nova geração. Aqui não interessam todas aquelas manias que se instalaram na indústria nos últimos anos, aqui é diversão pela diversão, descomprometida relação com o jogo e uma forte sensação de desafio. Nonostante il perfect score mancato di un soffio, TxK si proietta nell'olimpo di videogame da avere a tutti i costi grazie alle sue meccaniche divertenti, effetti visivi pirotecnici e un sonoro che rasenta la perfezione, fattori che lo rendono non solo il miglior titolo in circolazione per PlayStation Vita, ma anche una killer application per lo stesso handheld di Sony. Apparentemente caotico e incontrollabile, TxK è in realtà un manuale di pulizia di game design, dove ogni funzione è rappresentata da una forma, salvo che poi il tutto, voi compresi, è frullato da una tempesta elettromagnetica e psichedelica. Uno sparatutto oldskool solidissimo, pulito nei controlli, invidiabile nel level design.